De Nieuwe Kerk Amsterdam will present Gazing Ball (Perugino Madonna and Child with Four Saints) as its 2018 Masterpiece. 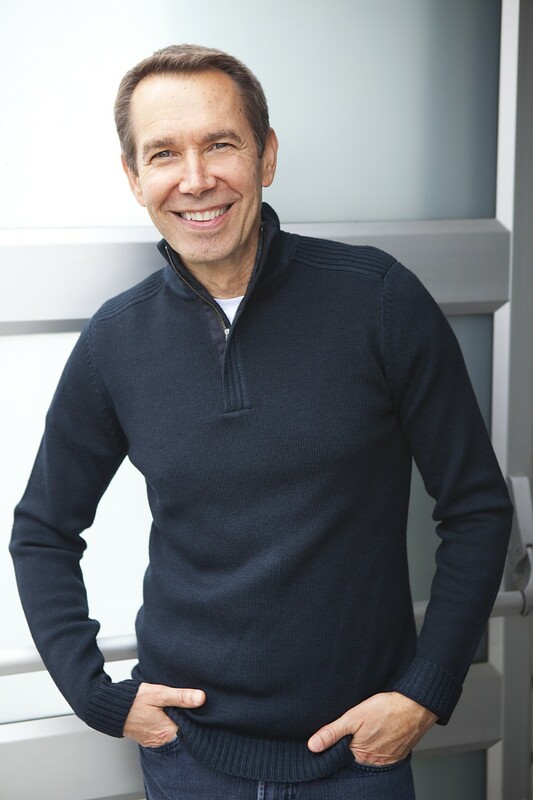 The work is from the Gazing Ball Paintings series by American artist Jeff Koons (b. 1955), which began in 2014. 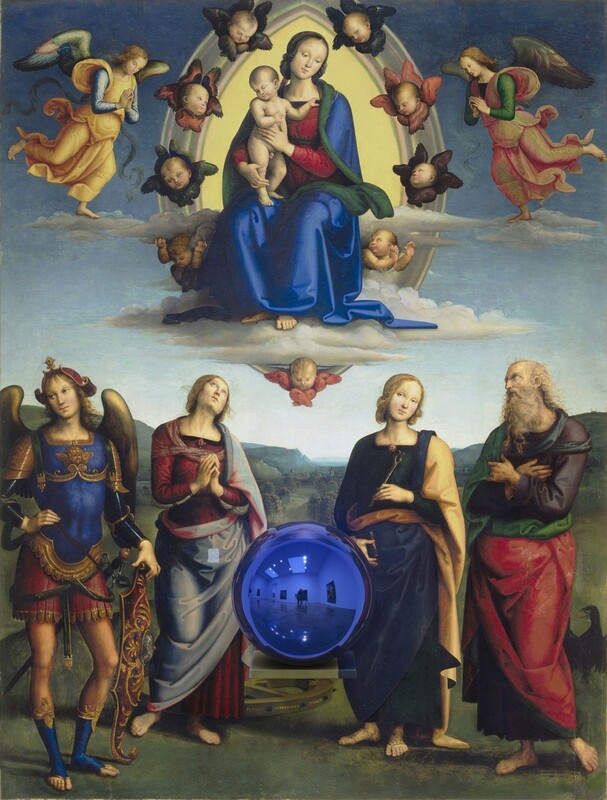 Gazing Ball (Perugino Madonna and Child with Four Saints) is a wondrous combination of a handpainted version of Madonna and Child with Four Saints (1500–01) by Italian Renaissance painter Perugino and a smooth cobalt-blue glass ball. From 17 February until 8 April 2018. The mirrored sphere that sits on a painted aluminum shelf attached to the front of the painting, reflects the viewers and their surroundings, drawing them into the work. The setting – the here and now – becomes part of the work, a new, constantly changing optical and spiritual union. The gazing ball gives the old painting an infinite number of new dimensions. To create this new work, Jeff Koons meticulously analysed the colour used by Perugino. Koons and his assistants reproduced every detail of the painting using thousands of different hand-mixed colours. Perugino’s eye, Koons’s eye and the viewer’s eye come together in this new three-dimensional masterpiece. In fact, it is a double masterpiece because the original canvas is also a masterpiece. Perugino of Umbria inspired many renowned Renaissance painters, including Raphael, who was one of his pupils. Perugino received countless commissions in Florence and many other Italian cities. The series presents works of art so extraordinary that they are almost never loaned out, because of their fragility or their status as beloved favourites. Many of the works featured in the series have an obvious or unexpected religious or spiritual dimension. Each one is a work that calls for contemplation and introspection and dazzles visitors in the breath-taking surroundings of De Nieuwe Kerk’s gothic interior. Earlier editions of the Masterpieces series featured The Holy Family by Rembrandt (2011), Andy Warhol’s The Last Supper (pink) (2012), Francis Bacon’s triptych In Memory of George Dyer (2014), Tristan’s Ascension (The Sound of a Mountain Under a Waterfall) / Fire Woman by Bill Viola (2015), Marc Chagall’s Calvary (2016) and Pentecostés van El Greco (2017). The Masterpiece series is made possible by Stichting AMMODO and Van Lanschot.